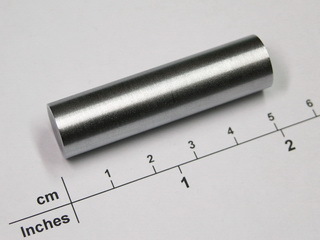 Discovered in 1780 by N.L. Vanquelin in Paris, France. 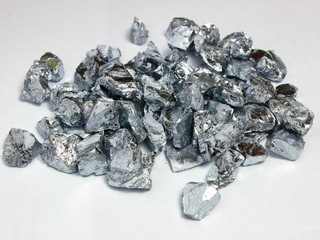 Chromium is a bright, blue/white metal with excellent corrosion resistance. 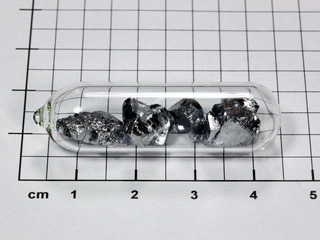 It is obtained by the aluminum reduction of Cr2O3, the source of which is chromite, a double oxide of chromium and iron which generally also contains magnesium. 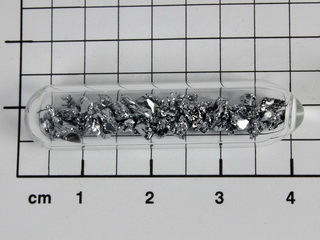 It has an abundance within the earth's crust of approximately 100 ppm. 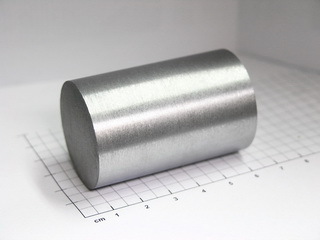 Chromium is soluble in HCl and H2SO4, but not in H3PO4, HNO3 or HClO4 due to the formation of a stable and insoluble oxide layer on its surface; this, along with its hardness, has been used to advantage in the chromium plating of steel which has good corrosion resistance. 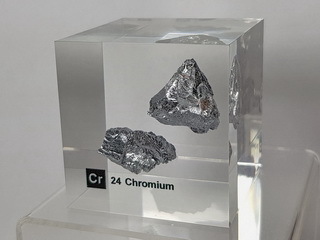 Chromium is alloyed with nickel in the manufacture of heat resisting alloys, and with iron, or nickel and iron, to produce stainless and heat resistant steels. 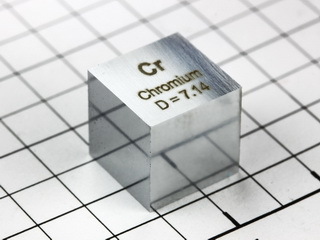 Chromium is an important trace element for humans as it assists in the manufacture of glucose. 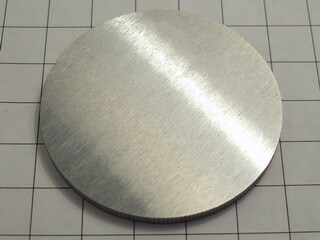 Amount: 1 St. / pc. 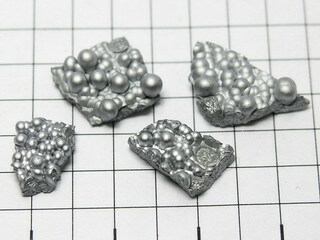 Chromium 3+ doped glass bead NEW!